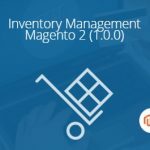 If you are looking for a reliable inventory manager for your Magento 2 store to optimize work with warehouse and stock, you’ve come to the right place, because below we shed light on the Boost My Shop ERP Inventory Magento 2 extension. The module supports multiple stocks and warehouses, as well as offers inventory tracking and stock forecasts. These and other features are described below. Complete Stock Control. Boost My Shop ERP Inventory for Magento 2 allows you to control even the closest details related to your stocks, so you will never run out of any goods. Omnichannel Support. With the Boost My Shop ERP Inventory Magento 2 extension, you will be able to control all channels related to your ecommerce business. Everything will be connected to a single system that provides a full of stocks and warehouses. Multiple Stocks and Warehouses. 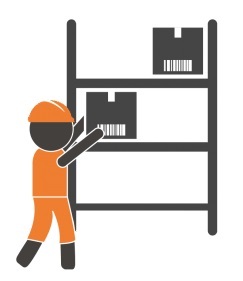 Chances are you have multiple stocks or warehouses, and it is not a problem, because the Boost My Shop ERP Inventory module lets you add all of them to a single database. Advanced Inventory Tracking. Due to the Stock Movements feature, the module provides advanced opportunities for inventory tracking. Furthermore, you can even manage optimum inventory and preferred stock levels. Support For Physical & Supplier Stocks. The Boost My Shop ERP Inventory Magento 2 extension allows you to sell from both warehouse (you physical stock) and supplier stocks. To support your omnichannel ecommerce needs, the Boost My Shop ERP Inventory Magento 2 extension provides the ability to use multiple warehouses. You can create a literally unlimited number of warehouses for different purposes. First of all, there can be one warehouse related to your own stock. 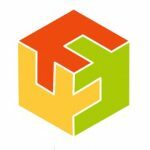 If you utilize dropshipping, it is also possible to create warehouses for all supplier stocks. Besides, you can add separate warehouses for offline stores, various events, or even different warehouse buildings. It is also a good idea to define a virtual warehouse for defective products that should be sent back to a manufacturer. Rich import/export functionality is another strong point of the Boost My Shop ERP Inventory Magento 2 module. 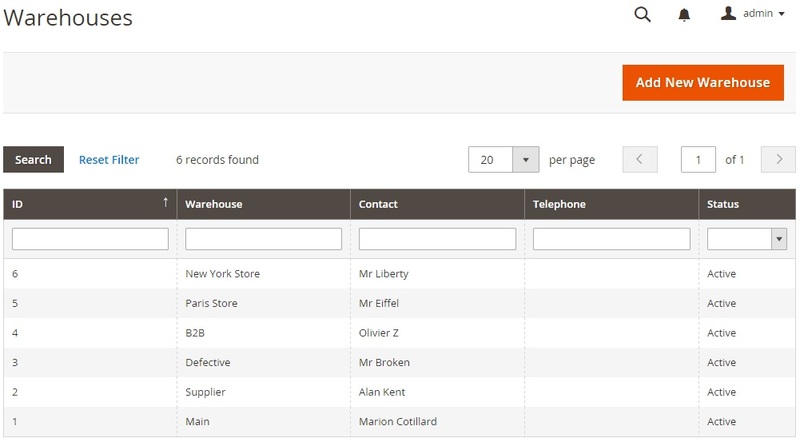 You can easily update each warehouse via CSV, as well as export corresponding data in a few clicks. It is also necessary to mention that each warehouse offers 3 types of stock levels: Physical Stock (current warehouse stock), Quantity to Ship (qty booked for sales orders), and Available Quantity (qty available for sale). Of course, Boost My Shop ERP Inventory provides the ability to create custom rules to define the sellable quantity for each product. It is even possible to connect different websites and warehouses. Each stock movement is recorded, so you can view the full history on the Stock Movement page. Even all users who ordered the movement are logged. 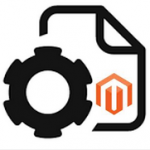 And due to movement categories and mandatory descriptions, the Boost My Shop ERP Inventory Magento 2 extension provides the most detailed tracking. As for the Stock Helper functionality, it enables you to control stock levels per each warehouse analyzing appropriate data. As a result, a more precise inventory forecast is possible. Furthermore, you can prevent products from running out of stock. 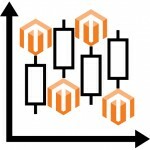 As mentioned above, Boost My Shop ERP Inventory for Magento 2 allows you to adjust preferred stock levels. You can set both warning and ideal levels of stocks. Besides, due to a mass stock editor, it is possible to update stock quantity for warehouses and shelf locations in bulk. The Boost My Shop ERP Inventory Magento 2 extension dramatically improves the default user experience of the platform. It adds lots of new features that enhance inventory management. Besides, you get monitoring and essential forecast functionality. As for the price of the extension, Boost My Shop ERP Inventory for Magento 2 costs €289.